Mega Moolah mobile slot is all about the Four Progressive Jackpots that has created countless millionaires. As it happens, we love the theme and there are plenty of features to keep you entertained, with free spins and wilds keeping you coming back for more. It’s worth mentioning that the slot jackpot within the game (non-progressive) is a whopping 225,000 coins. So the jackpots. You want to hear about the jackpots. And the progressive jackpots on this video slot (5 reels, 25 payline) has four of them; Mini, Minor, Major and Mega. High rollers will be happy to learn that the higher you bet, the greater your chances of winning the progressive jackpots. That said, those who like their penny slots will be able to bet small and have a chance, as the maximum betting amount is only 6.25 – so it wasn’t created for those who like to bet 100 at a time, and small bets have triggered some multi-million wins. Though the house edge might seem a little high for a low volatility slot, this is only to make up for the Mega casino jackpot which obviously doesn’t hit as often as all that. Still it’s one of the highest jackpot won on mobile at 3.7 million in cash. Makes you think right? What would you do if you won 3.7 million (or more?) on the train? 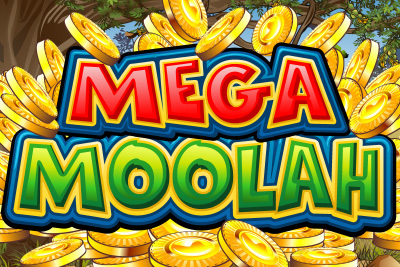 The Mega Moolah jackpot hits the biggest online slot win! UK soldier wins £13.3 / €17.9 Million, breaks world record, and changes his life. Read the full big winner story here. Wild Symbol: The Wild Lion is the wild symbol, substituting all symbols except the scatter monkey. Free Spins: Get 3 or more wise fortune telling monkeys to activate 15 free spins during which all wins are tripled. If you don't win the jackpot, these free spins are where you'll get nice top ups to your bank account in order to keep on playing. How You Win The Jackpot: Play. The higher you bet, the higher your chance of winning. Mini, Minor, Major or Mega, these babies could pop anytime, anywhere. We give Mega Moolah slot a five-star review, a mobile jackpot slot that has everything you need. Wilds, scatters, free spins, jackpots galore and a great fun theme to boot. There is a reason why this is one of the all-time favourite Microgaming slots for so many. Not only does it give you hope for millions in cash, but with low volatility, it gives you enough small wins throughout the game to help keep you playing for as long as possible. There are so many great progressive casino games to choose from, but this one is on a league of its own.